Fall is Here! Time to get ready for the Rains and Winter. Rain, snow, and ice all come with fall and winter. Your tires are your first line of defense between you and the road. Poor tires are just plain dangerous for you and the other people on the road. Make sure your tires are in good condition. Check your tire pressure, the pressure is determined by the automobile manufacturer, not the tire company. You will find your recommended tire pressure on the driver’s door jamb, glove box lid or in your owner’s manual. Coolant check, 50-50 mixture of antifreeze/water. That will bring it down to -34 the recommended level for winter and so the cooling system doesn’t corrode and rust. Battery check. A battery receives its electric energy from chemical reactions. The colder it is, the less power a battery has. And on top of this, a cold engine requires more power to crank it over. Cold weather is a test for a battery. Get your battery checked before it deserts you. 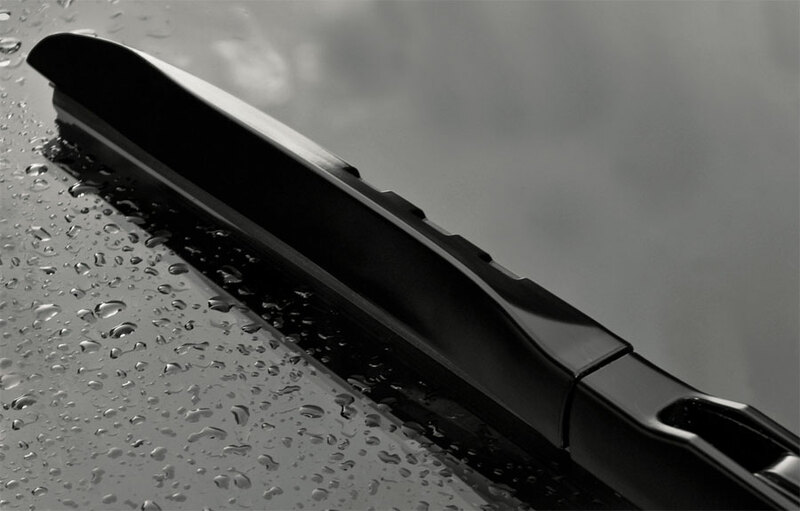 Replace your windshield wipers every fall. Check your washer fluid and operation. Make sure your windshield is clean both inside and out, that the headlights are clean and adjusted correctly. Sight is 99% of the input for driving, make sure you can see. When driving in the rain, I put Rain-x® or another window polish on your windshield. It really improves your vision. No need to warn up your vehicle before driving, it only wastes fuel and pollutes the air. Just drive without putting the engine under heavy load until the temperature is normal. The only reason for warming it before driving is get ice off the windshield or warms the interior for you. Every week or so now, a vehicle comes into our shops that need something expensive such as an engine because of lack of maintenance. These vehicles have been neglected. Automobile manufactures have stretched what use to be called regular maintenance items to the maximum or to “lifetime.” Lifetime fluids? Does that mean that when the lubrication properties of that fluid fail; it is at the end on its life? How does the consumer know? Maybe when your transmission fails, you will know. At one time, fuel filters were replaced every 15,000 miles, now no recommendations are given. We had a 2005 Audi that the fuel pump was making lots on noise, replaced the fuel filter and the noise went away. The filter was plugged, making the fuel pump work extra hard to get the fuel through. These days, we replace more fuel pumps (at the cost of over $300 and a break down with towing) then fuel filters because they are no longer recommended. Poor fuel pumps or is it problems with not replacing the fuel filter? I don’t know for sure but have ideas. How often should oil services be done? Some manufacturers are recommending up to 18,000 miles on oil changes, other sources say every 3 months, or every 3000 miles. Some manufactures are recommending that their transmission never needs service. There are documented cases with Japanese and European car engines slugging up and needing major repair with less than 50,000 miles, even though oil services were done in the prescribed factory times. In the past year, we have found more engines needing to be replaced for oiling problems than every before. Is it the oil change intervals or people not following them? I think both. With lifetime transmission fluid, an instructor who worked for a major European dealership found that transmission life was doubled with prescribed maintenance. Life time antifreeze or long life anti-freeze has had its problems as well. Preventive maintenance is the art of maintaining your car when and where you want to, increasing its life and dependability, decreasing the cost of ownership. For me, a vehicle deserting me twice, I lose faith. So I’m going out on a limb and making recommendations on servicing. It does vary by year and brand of vehicle and the type of driving. You do need to check with your favorite shop or dealership to see what they recommend. Oil service, 3000 to 8000 miles or at least once a year. This depends on if you use synthetic oil or not. Small short trips in the city that don’t warm up the engine are hard on oil. Coolant flush, transmission service and fuel filter, every 40,000 miles. Air filter, every 15-20,000 miles. This is one of the most oversold items. It’s ok that a little dirt is in it. On 1998 and newer cars, a dirty air filter will not affect your fuel mileage. On a rear wheel drive or 4x4, fluids in transfer case and differential should be changed every 40,000 miles. The word “tune up” is no longer used in the business. Spark plugs life is so different now that the manufactures recommendation is good. It varies from 40 -105,000 miles. The best way to maintain your vehicle is to use the same shop on all your maintenance and repair so they know all the history and can make recommendations on how to get the most life out of your car.